An exhibition at the Dordrechts Museum (Van de Kunst en de Rand: de Lijst Centraal) looks at the frames in its collection and their relationship with the art they contain. It opened in 24 May 2015 and will continue to the end of January 2016; it is reviewed here by Dorien Tamis, art historian and journalist. It may be a provincial museum, but the Dutch Dordrechts Museum nevertheless houses an impressive collection of paintings, ranging from the seventeenth to the twentieth century, and including a Rembrandt (on loan from the Rijksmuseum). And even though I am not what you would call a frame person, I was impressed by their settings, highlighted in this intriguing exhibition which draws mainly on the museum’s own collection, with a few loans made through the RCE. Among the most striking pieces that I can recall are, for instance, a set of two rare and beautiful eighteenth century octagonal tortoiseshell picture frames. 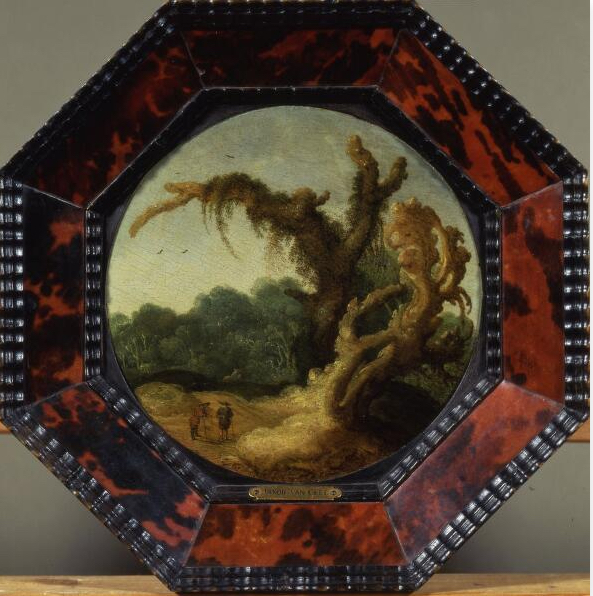 The tortoiseshell was used to frame two small roundels with landscapes, painted some hundred years earlier by Jacob van Geel, a minor landscape artist who spent the final part of his life in Dordrecht. The overall effect is a happy one, though – especially from a distance – the tortoiseshell tends to dominate the green foliage of the paintings. Perhaps when the greens were fresh, their combination with the complementary colours of the tortoiseshell would have made these works sing out from the walls . 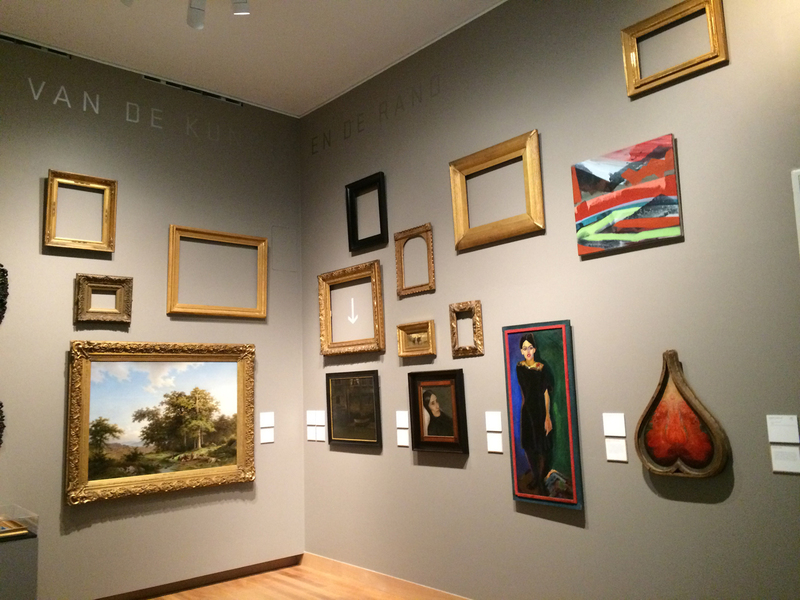 The exhibition (Van de Kunst en de Rand: de Lijst Centraal – On Art and its Margins: the Frame in the Centre) was a collaboration between the Dordrechts Museum and the Dutch Cultural Heritage Agency (Rijksdienst voor het Cultureel Erfgoed, or RCE). 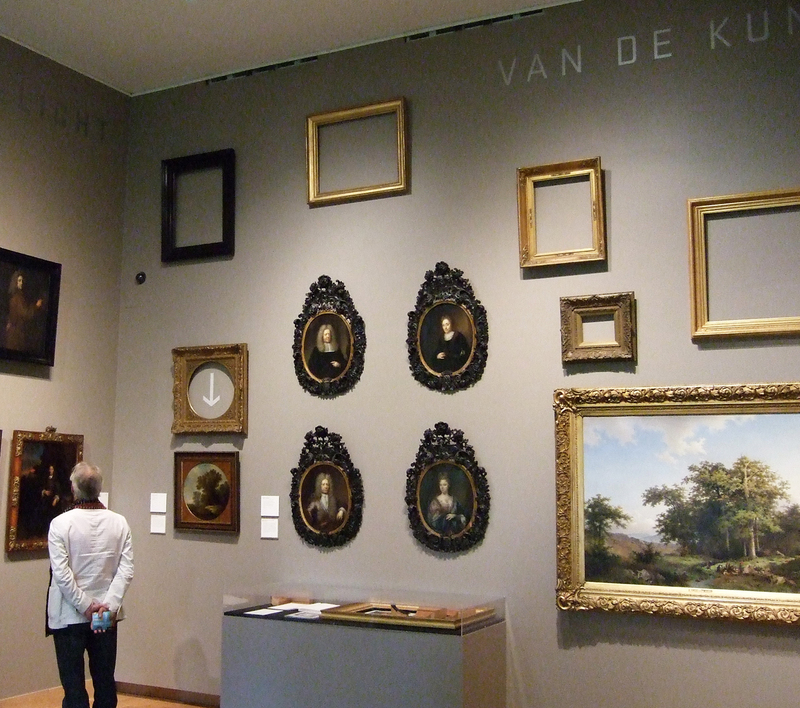 For several years now the RCE has invested in research into picture frames, and together with the Rijksmuseum in Amsterdam, the Mauritshuis and the Netherlands Institute for Art History (RKD), both in The Hague, it has established the so-called Platform for Painting Frames in the Netherlands. After a series of conferences on all kind of issues relating to picture frames – their history, conservation, cataloguing etc. – the Dordrecht exhibition is the Platform’s first public manifestation. The answer comes in a variety of forms, illustrated imaginatively in a fairly small compass. The core of the exhibition consists of one room, hung with a diverse array of framed paintings, one painting without a frame and a lot of empty frames. 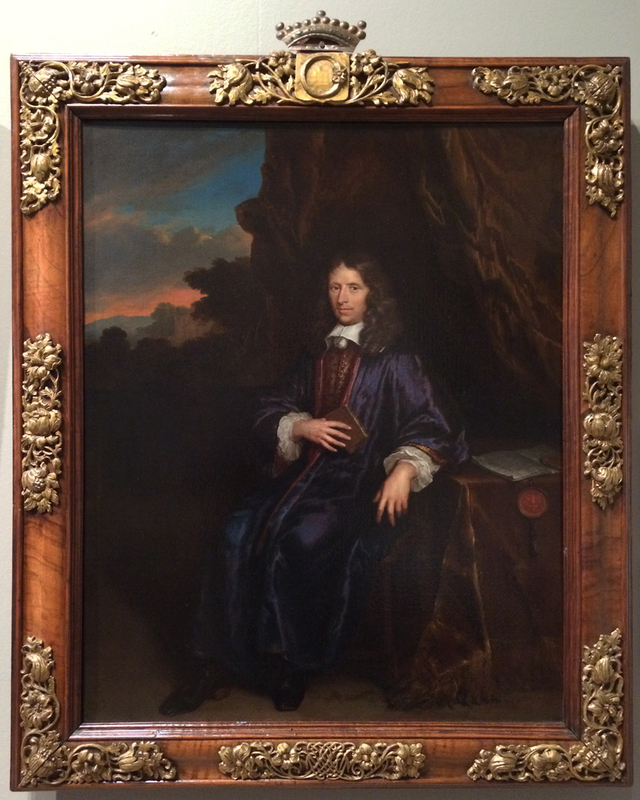 Sometimes the empty frames are earlier settings for reframed works, shown close by in their current garb. The scope of the exhibition continues throughout the Museum, picking out further interesting frames on a captioned ‘trail’ through the permanent collection (see below for downloadable booklet). In the main room, various interesting aspects of framing are considered; for instance, the raw materials used. An octagonal black frame of c.1625 offers the surprising revelation that it is actually inlaid with whalebone (part of the detritus left behind in the manufacture of whale oil). This resulted from the search for a substitute for ebony, popular in the first half of the seventeenth century but also expensive . Whalebone, however, was in use for no longer than twenty years, as it proved an unsatisfactory replacement and was abandoned by frame-makers around 1640 . Two series of paintings are shown which are – happily – still in their original, custom-made frames. One, a set of four small full-length portraits by Caspar Netscher (c. 1670), has polished oak frames with reverse or bolection profiles, decorated with pierced metal appliqués. Mysteriously, although the portraits of the series were painted simultaneously, the frames differ. The first three were decorated with brass ornaments; the fourth, however, has matching ornamentation which has been carved in wood and then gilded. 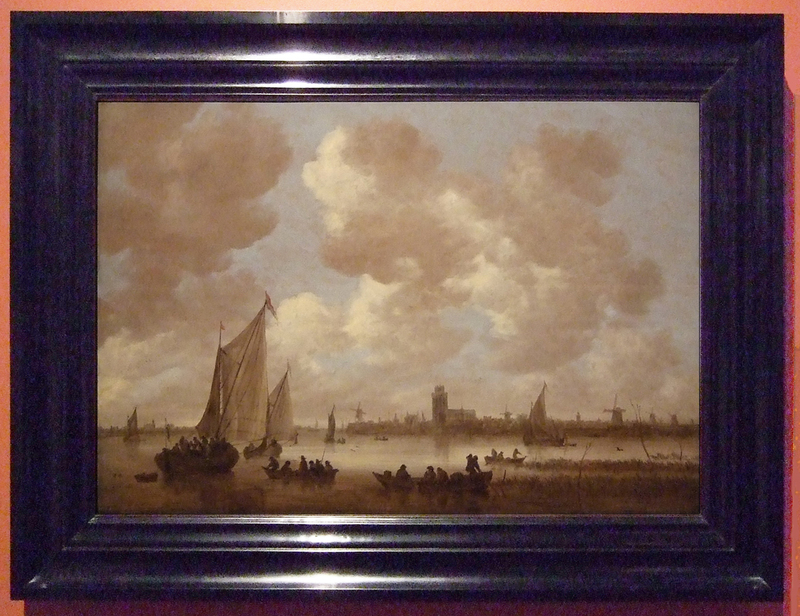 Frames with metal mounts are very rare; the only other series recorded in Prijst de lijst / Framing in the Golden Age are a set of four by Nicolaes Maes of the Van Alphen family (c.1680; Rijksmuseum; no 67, fig. b), and a set of eight by Samuel van Hoogstraten of the Pauw family (1671; private collection; no 67). 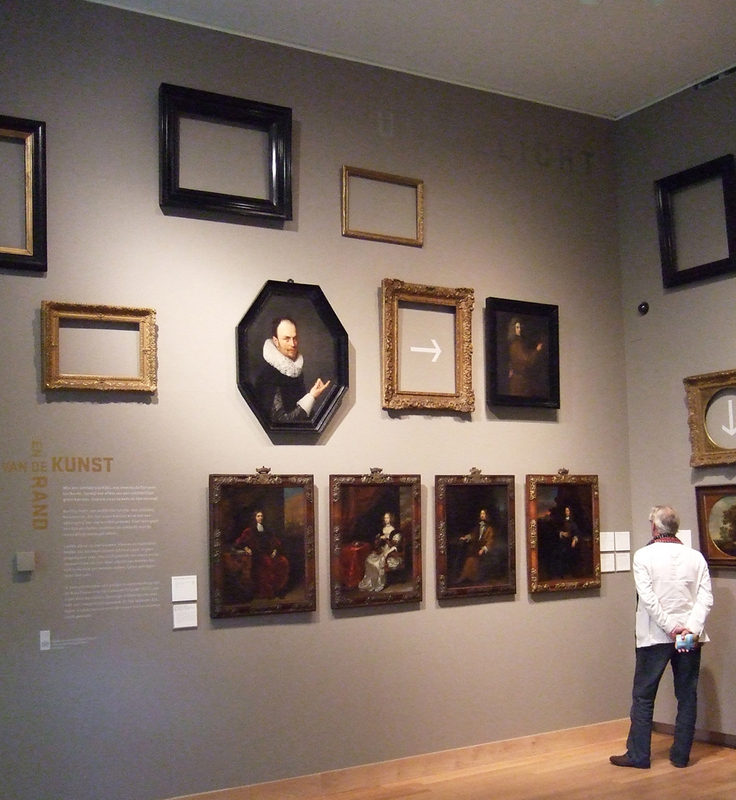 The mounts on the Maes frames are very similar, but not identical, to those on the Netscher portraits. The latter have probably retained their frames as they stayed in the collection of the family for so long. 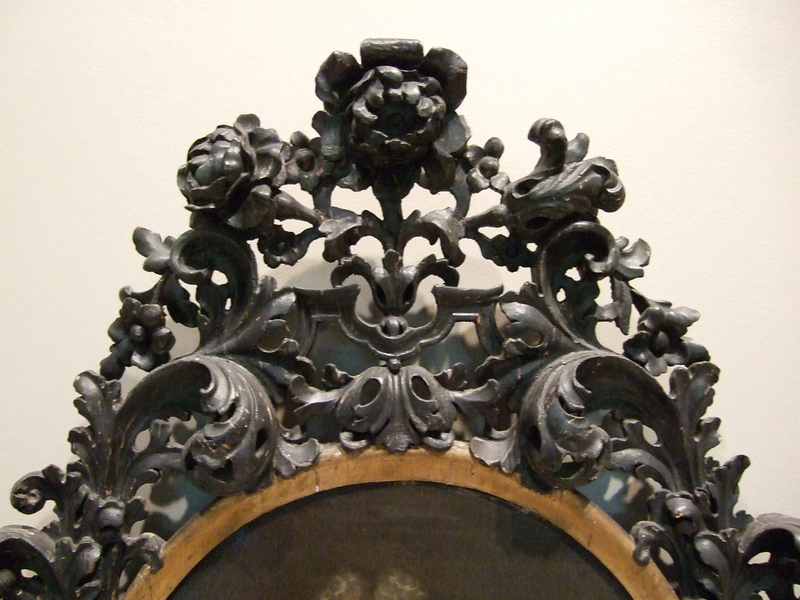 The other portrait series is by Boonen; the oval format of the frames is typical of the late 17th and early 18th centuries – pierced, Baroque, uniting strapwork with flowers and sculptural acanthus leaves. An oval or circular form usually guarantees that the original frame is retained over time, because it is not easy or economical to replace it, even when the decorative fashion changes markedly in the interior where it hangs. The exhibition covers both hand-carved and mass-produced moulded ornament; the latter grew in popularity from the end of the eighteenth century, through the nineteenth, and is still in demand (if not quite in such quantities) today. 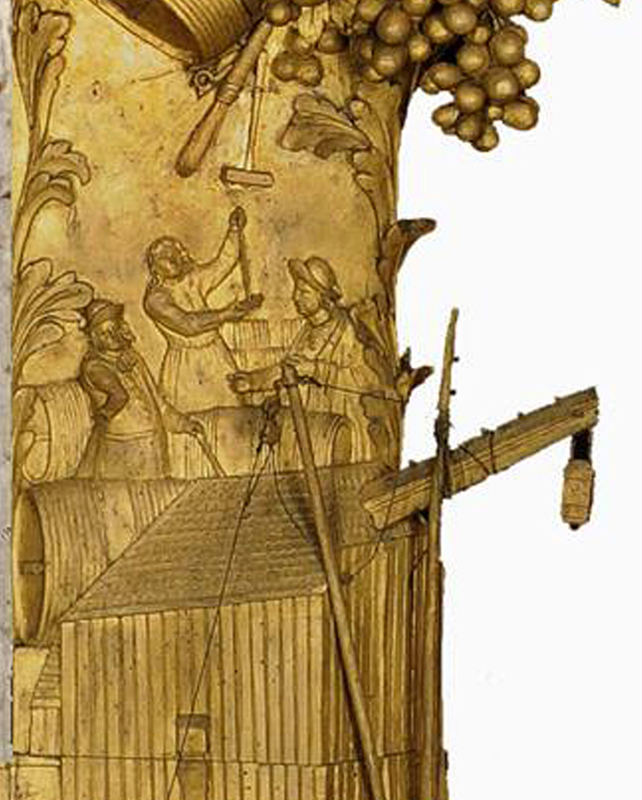 A gilded composition frame encasing a large landscape represents the taste of the nineteenth century. 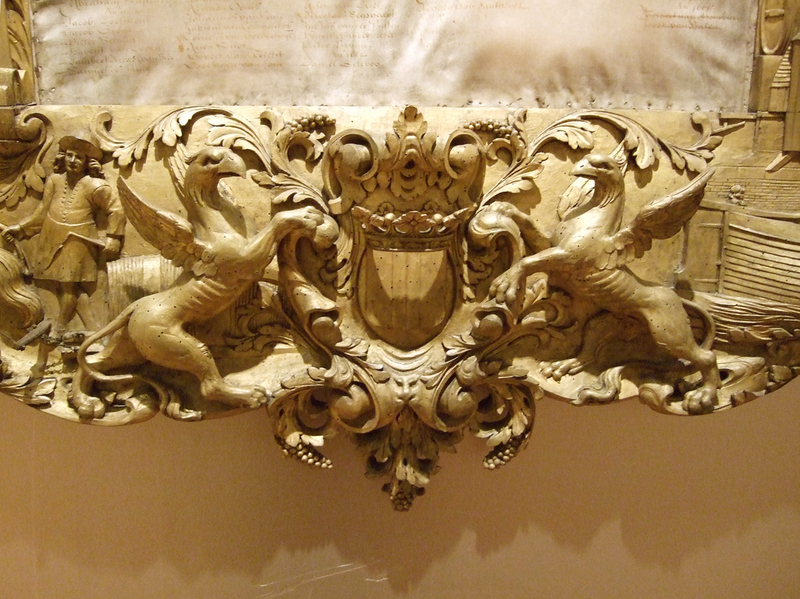 The ogee-shaped rail is decorated with applied ornament of scrolling acanthus foliage, amongst which tiny birds are playing, in a very appropriate complement to the painting. Curiously, however, the birds along the upper edge of the frame are upside-down. Artists’ own designs were also in evidence: an important category during the nineteenth and twentieth centuries. The painter Jan Jordens fabricated and painted the frame for the 1924 Portrait of Coosje himself, as an integral part of the painting. Its construction could hardly be simpler, but its minimal style and carefully-chosen colour provide a dynamic and emphatic halo for the portrait. This, and several other examples, are used to demonstrate the fact that, rather than a change in fashion, the twentieth century evolves a different conception of framing altogether. 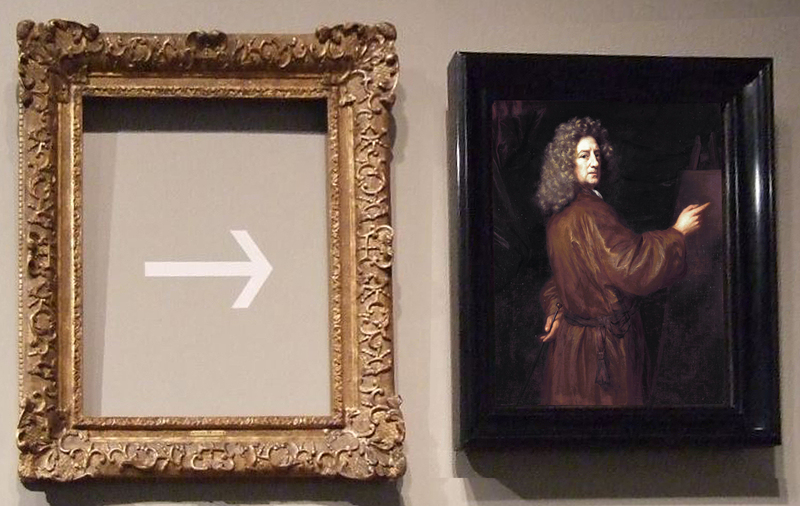 Changing tastes in framing over time were brought vividly to life in some ‘before’ and ‘after’ pairings. The curators offered several reasons for these changes: sometimes the new frame was thought to be more in keeping with the period when the painting was created, or it was a better choice aesthetically – doing the painting more justice by adding to the beauty of the artwork. Or both at once, of course. 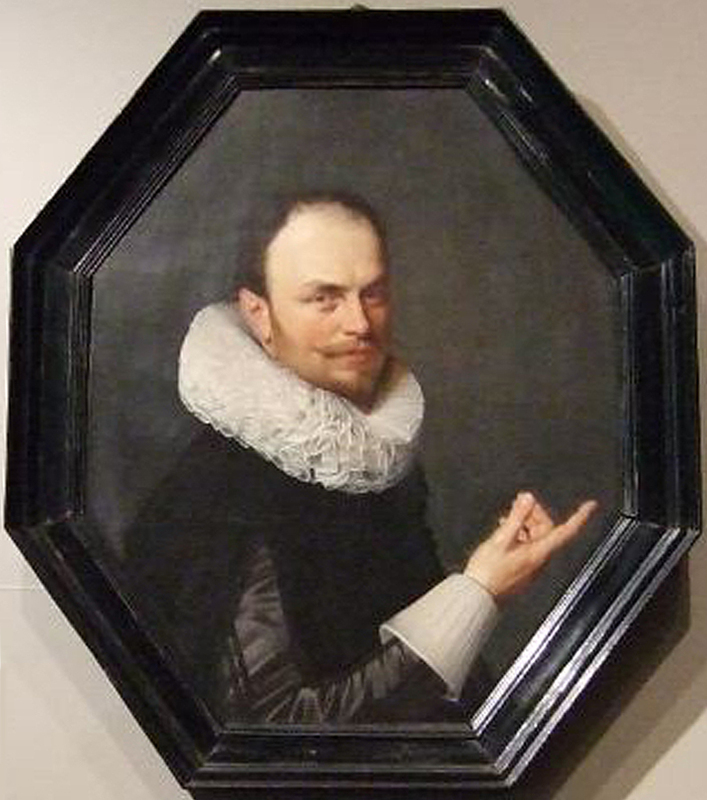 In the case of Nicolaes Maes’s Self-portrait, which was changed from its earlier gilded Louis XIV setting to a polished ebonized replica of a contemporary frame, this change incidentally allowed the new frame to double as a climate-controlled case for transport. A glass vitrine nearby provides some background explanation as to frame types and forms. 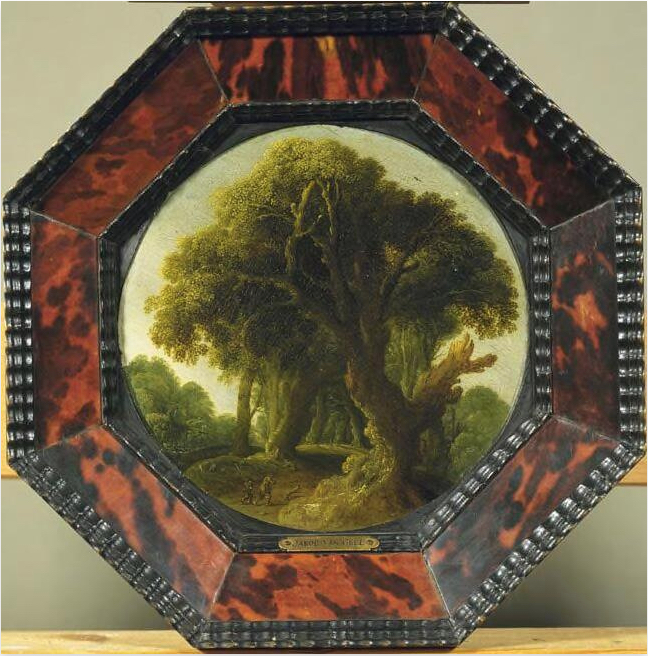 Another ‘before’ and ‘after’ pair shows the previous frame (also Louis XIV, but with an added inlay) of a small round landscape by Dirck Dalens, and the painting itself in its current very pretty burr walnut frame, with gilding. The warm wood contrasts strikingly with the greens and blues of the landscape. Other works included in the exhibition are dispersed throughout the permanent collection, and are recognizable by a ‘framed’ caption. 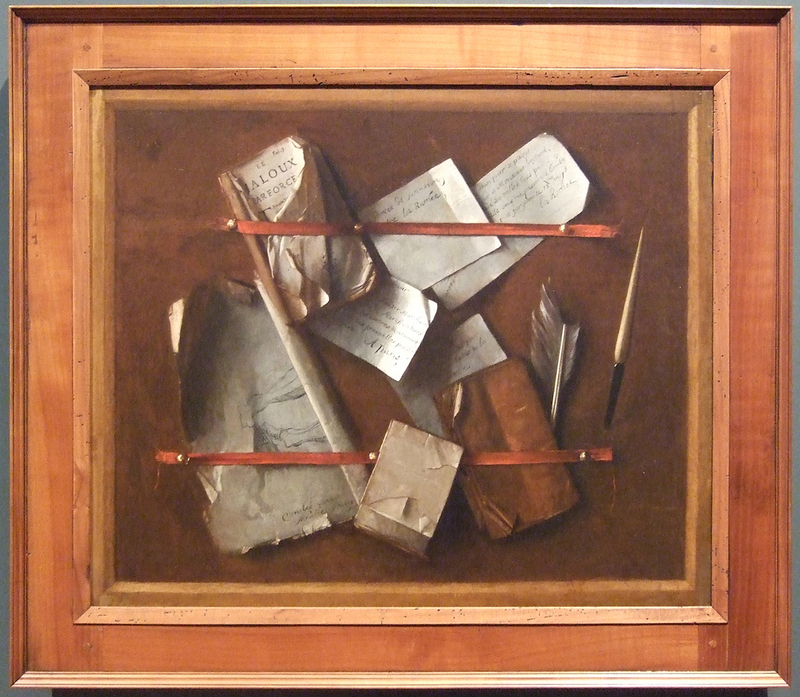 Some of these prompt interesting questions – for example, should a trompe-l’oeil painting which already includes an integral painted frame be framed again with a removeable wooden moulding, as is Cornelis van der Meulen’s Letter-rack of 1673? It seems to detract from the artist’s illusion (compare this solution with that for the work of Cornelius Gijsbrechts: scroll down article). Another work is a collaboration between the artist and the sitter in more ways than one. 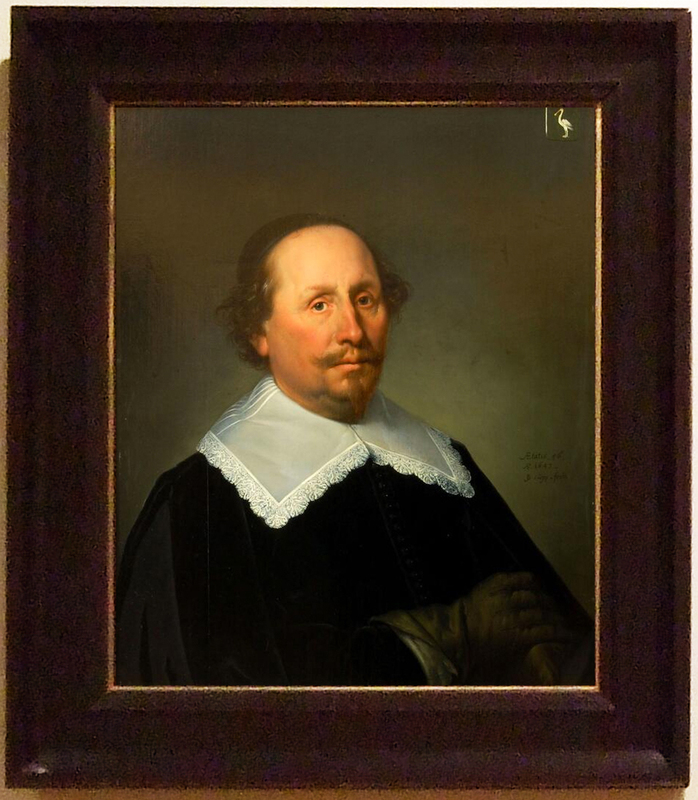 Arendt de Gelder’s portrait of the sculptor, Hendrik Noteman, is framed in a a beautiful oval version of a French flower corner frame, in transitional Louis XIII-XIV style, which was probably carved by Noteman himself. The floral panels include sunflowers and primulas around fanned lambrequins, and the reposes are incised and punched with leaves and little florets. 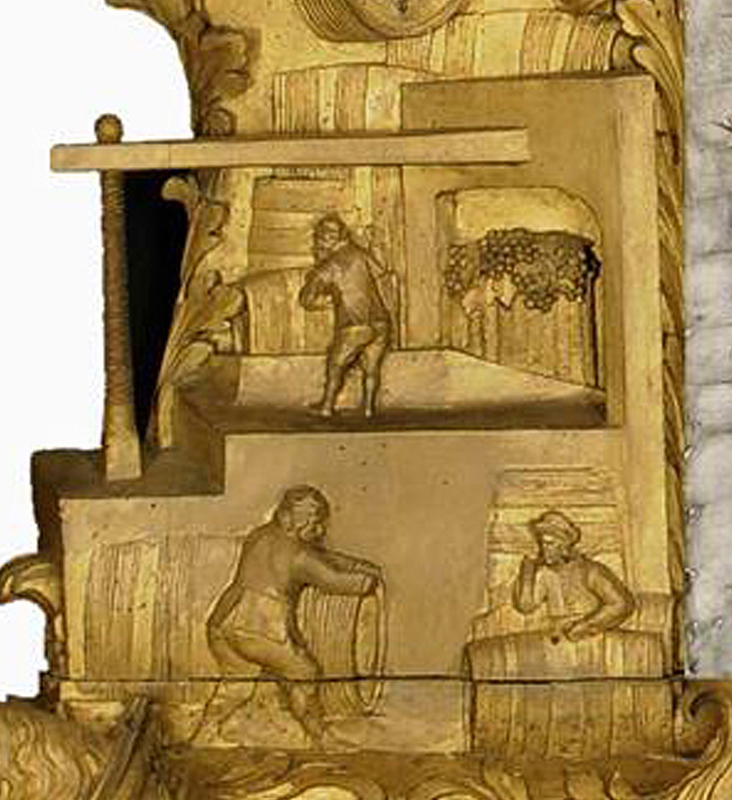 It is a delicate and decorative design, contrasting with the robust figure of the sculptor, who holds his chisel as though about to begin work on the inside of the frame. A pair of portaits by Jacob Gerritsz. Cuyp presents an entirely different collision of approaches. Here are paintings of a married couple, Anthonis Repelaer and Emerentia van Driel, which were separated for many years, as Emerentia belonged to the Kunsthistorisches Museum, Vienna. 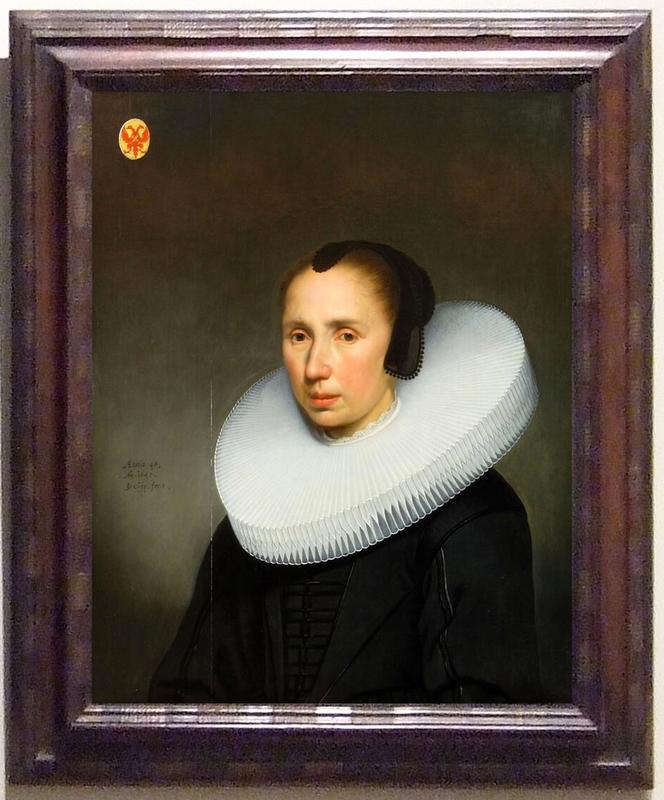 She is now on semi-permanent loan to the Dordrechts Museum, but the couple have very different frames – neither of which is original. 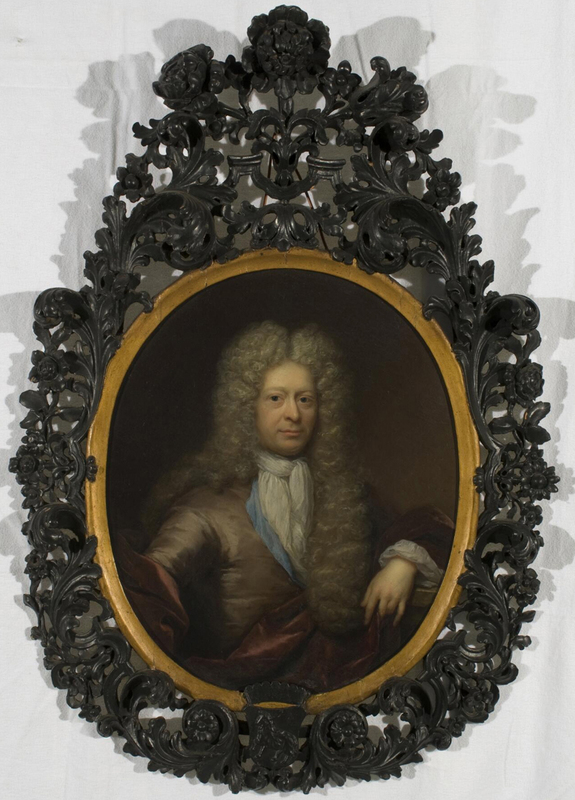 The Portrait of Anthonis Repelaer has a very plain black-painted scotia frame with gilded sight edge, which projects outwards from the painting. 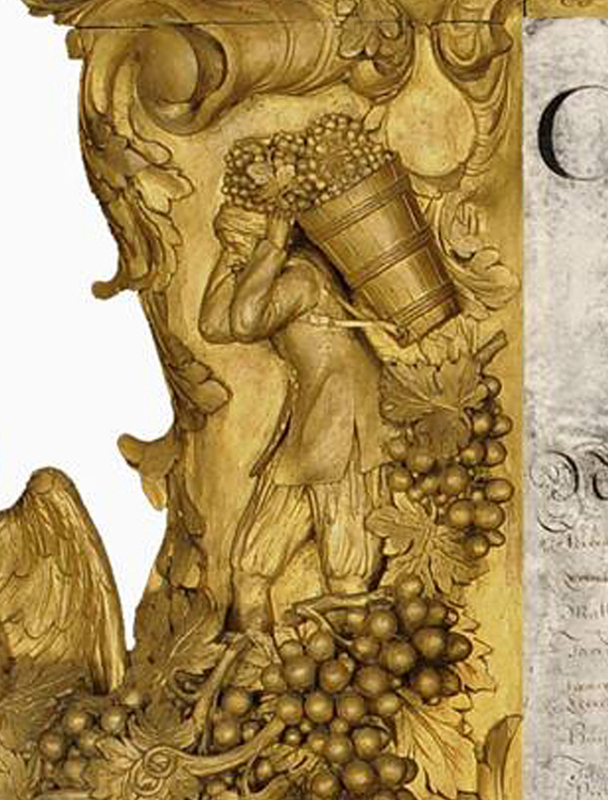 The most spectacular frame in the whole exhibition must be the carved and gilded trophy frame which was originally made for the Dordrecht Vintners’ Guild, and was later transferred to the Coopers’ Guild. 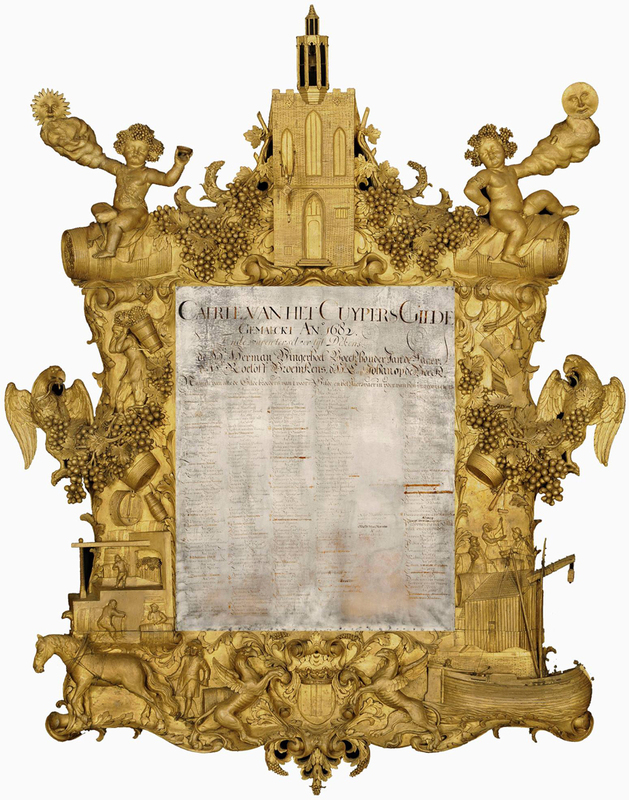 Here the rôles of frame and contents are entirely reversed: the written register of the guild members is rather plain, whereas the frame is a stunningly intricate work of art. At the top, in miniature, is the Wijnkopers’ chapel, with a working clock. …to selling the final product. All of these examples, and I have cited only a few, serve to illustrate the history of framing from the sixteenth century onwards, and of which a short, general overview is given in the booklet which accompanies the exhibition. The exhibits which best catch the spirit of the whole display are kept for last. 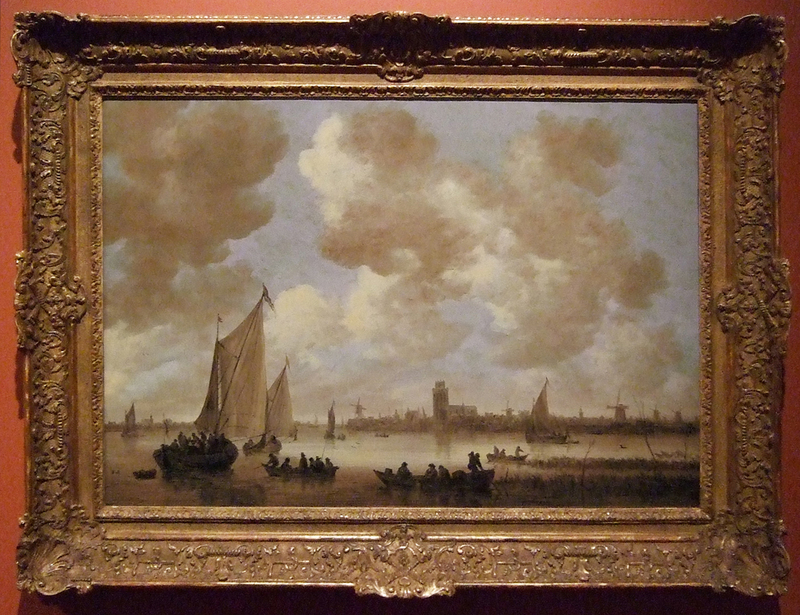 The Museum had a new ebony frame made after a seventeenth century model to replace the antique gilded frame on Jan van Goyen’s large View of Dordrecht. 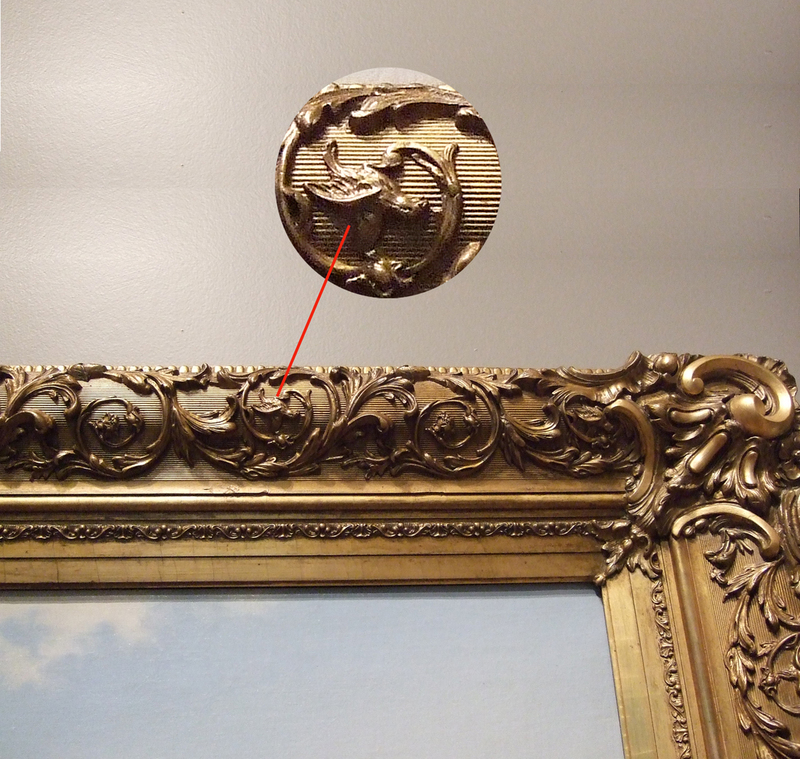 A reproduction of the painting hangs in its old gilded ornamental frame beside the real work in its new setting. 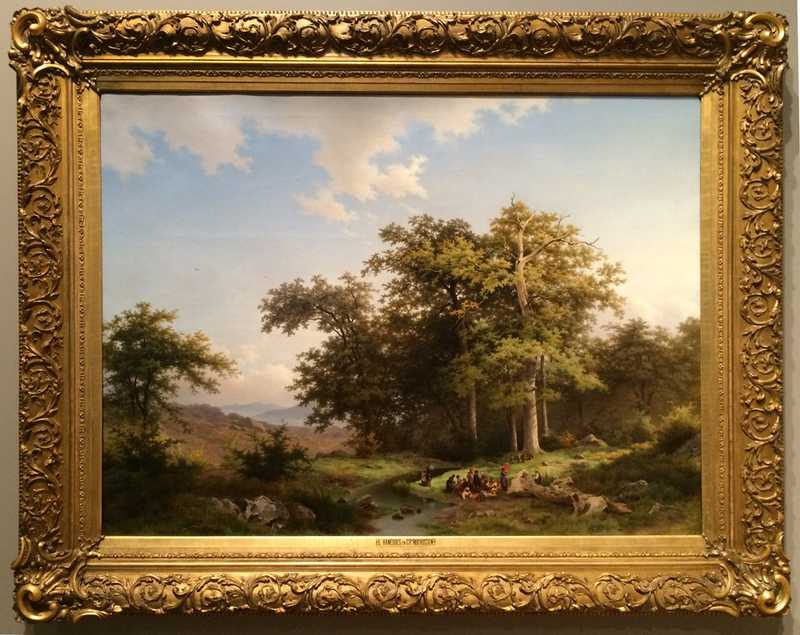 An accompanying text asks the viewer which frame, in his opinion, shows the painting to best advantage. 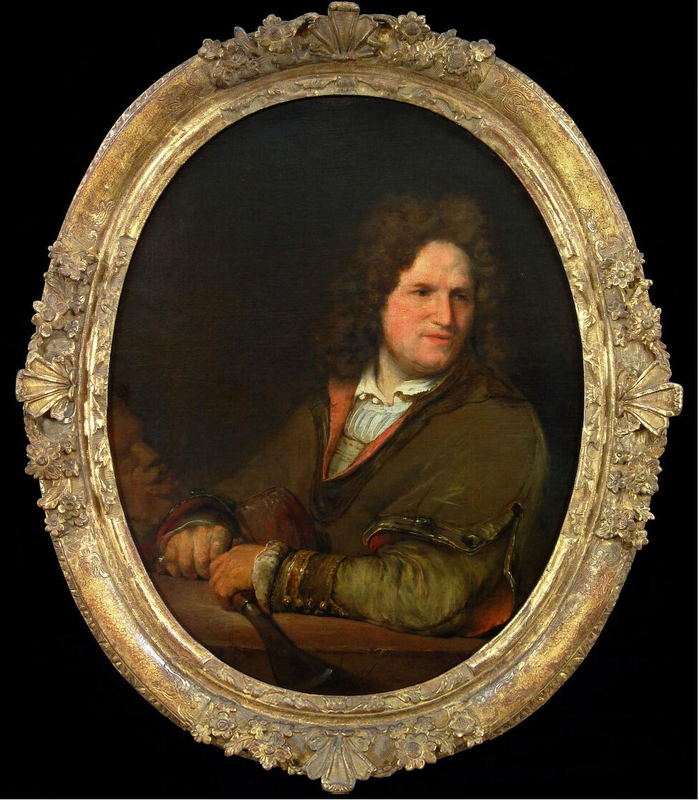 The viewer is obviously expected to prefer the ebony one, but the original purchaser might well have procured a French or French-style gilded frame for his painting, to underline its worth in his eyes, and emphasize its status to his friends. It is a shame, from my point of view, that both paintings are hung against a wall painted in a shade of deep terracotta which I feel negates much of the desired effect. This colour may have been chosen to pick up the pinkish orange hue in Van Goyen’s evening (or morning?) sky, or possibly to contrast with its blues and greys, but I found it rather underwhelming for the finale of an exhibition that is otherwise very worthwhile and interesting. As a freelance art historian and journalist, Dorien Tamis writes about nearly anything that catches her interest: from 16th-century warfare to artful embroidery, from justifiably forgotten painters to historical movies. She specializes in the workshop practices of 16th and 17th century Netherlandish painters, and will present her PhD thesis, ‘Van twee handen geschildert’: werkverdeling tussen schilders in de Nederlanden in de zestiende en zeventiende eeuw (‘Painted by two hands’: division of labour among painters in the Netherlands in the 16th and 17th century) next spring. 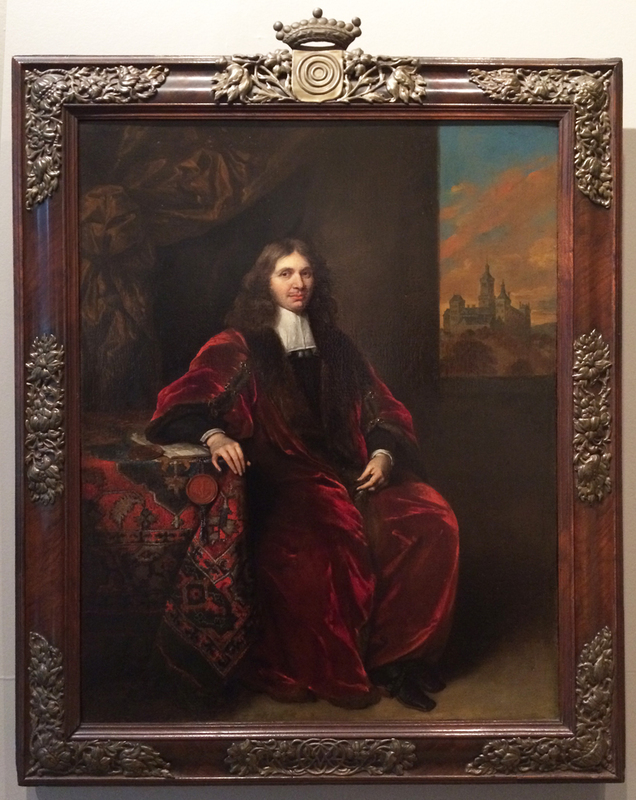 As Pieter J.J. van Thiel notes in the introduction to Prijst de Lijst (1984; translated as Framing in the Golden Age, 1995; see p.30), ‘References to framed paintings in estate inventories and similar sources give an idea of just how rich the variety of 17th century frames was… [however] no more than two references were found to a ‘schiltpadde lijstken [small tortoiseshell frame]’, indicating that these cadres, not one of which is known to hold a painting, usually surrounded looking-glasses.’ It is interesting, in the light of this discovery, to see that by the 18th century tortoiseshell frames like those on the Van Geels were being made specifically for paintings. See for example here (in Dutch). ‘A particularly curious method of imitating ebony was discovered by the ivory-turner Jan Osborn, an Englishman who had established himself in Amsterdam. The directors of the Northern Company, founded in 1614, had asked Osborn to find a way to render baleen (or whalebone) profitable. He developed a method of making profiled strips from the material which could be used as a veneer. Once it had been blackened, it was ‘more beautiful to the eye than ebony’. In 1618 the inventor was granted a patent, but this counterfeit ebony, which was also utilized for frames, ultimately proved unsuccessful. Nor could it have cost much less than the real thing.’ Ibid. Wonderfully informative article on such a unique exhibit. I have a great interest in period frames and your writing and photographs thoughtfully explain the power of the frame. I really enjoyed it. Interesting exhbition and very well written review. Thanks for this review. Due to your wonderful suggestion Lynn, my husband and I were able to see the show this past August. The museum is lovely and they added depth to the exhibition by posting extra labels regarding frames on artworks throughout the museum. Fortunately we had an app that translated the Dutch text into English. Always gratifying to see frames in the spotlight. So glad that you were able to get to the exhibition, and that you enjoyed it; I’m very envious! – and, yes, isn’t it good to see another frame exhibition? Dear Lynn, thank you so much!! !